With the new "Simpsons World" streaming site you may no longer need a TV to watch Springfield's favorite family. Almost every episode of "The Simpsons" (556 and counting!) has started with Springfield's favorite family running home to watch TV. Now we don't even need a TV to watch. On Tuesday, 21st Century Fox is debuting "Simpsons World," a web site that lets fans stream every single one of those episodes. "The Simpsons," which in season #25 is the longest-running sitcom of all time, is embracing a mobile and on-demand world that was scarcely imagined when the show came onto the airwaves in 1989. All that's needed is a subscription to a participating cable or satellite provider. Fox's cable channel FXX bought the cable and online rights to past episodes of "The Simpsons" from Fox's studio division last year. The price tag was reported to be $750 million. First FXX held a popular "Every Simpsons Ever" marathon in August. And now it's rolling out "Simpsons World," which will exist at SimpsonsWorld.com and through FXX's app. The new site will go beyond binge-viewing or cherry-picking of favorite episodes. It will also allow fans to interact with the show in multiple ways -- from cutting and sharing clips to getting behind the scenes information. Ahead of the site's debut, we spoke to "Simpsons" executive producer and showrunner Al Jean about the new site, the marathon and a potential ending to the series. So now, with "Simpsons World," will the show's famous couch gags have the Simpson family rushing home to watch shows on their computers and tablets? It's so funny because, honest to god, this show predated Google. It kind of predated Word processing. The fact that now we're on this app where you can just access everything, cross-reference everything, it's boggling my mind. Speaking of, the site goes live Tuesday. Yeah, but we warned everybody it's not complete -- but I think it's very good. It will be updated and improved continually. It should be pretty final next year. 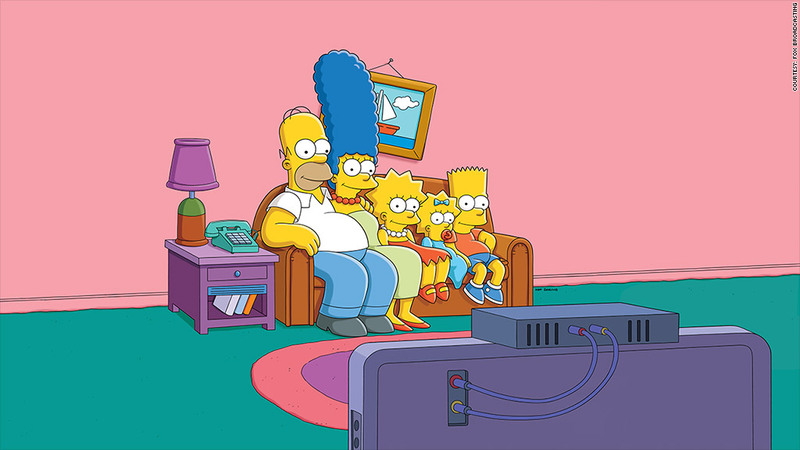 There are a lot of streaming TV sites now, so what makes "Simpsons World" stand out? It offers, to my knowledge, much more than any other. Most sites will give you episodes of [a] show, and maybe some background, or additional material. This gives you everything. The whole run of the show, the information from our various books and research that we've done. Every script page can be accessed. When the app is fully complete there's going to be cross-referencing, so if you want to see every appearance of Moleman, you can do that. I don't think there's anything now that remotely approaches what this is going to do. It's definitely a window into the future. What's your favorite aspect of the site? It's two things. It's the ability to research. I mean, we already can do an amazing amount through YouTube or Google, but this will really be the ultimate for finding out about "The Simpsons." Then the ability to cut and paste clips I think is something. It's just so funny, we can be having a debate did Homer strangle Bart when he was a baby? Now we can find the answer very quickly. Also, it's a two-way experience. It gets feedback and input from the users and the whole point of it is to make this something people feel a part of. Did you ever expect these older episodes would be shown in this type of format on-demand? Nothing I would expect ever corresponds with what happens with "The Simpsons." I hoped it would run for five years back in the early nineties [laughs]. The fact that we're on 25 years later... this is the 25th Halloween show, we had a movie, we just did a show at the Hollywood Bowl, we had a short that was nominated for an Oscar. The show just seems to me to be on a huge... I don't know if you'd call it a second wind? Fifth wind? Whatever. It's all amazing. Hollywood loves a comeback, especially for something that never vanished [laughs]. What does it mean to have such a popular and highly lucrative on-demand library after decades as a simply linear TV show? Well, I can't really speak to the term "lucrative," because a lot of this has been a huge development with money they've poured into the web site. When FXX aired the marathon, they had very few commercials because they wanted to really show everybody it was on FXX. Of course, "The Simpsons" makes money and of course "The Simpsons" originated as something that was designed to be a business as well as entertaining, but a lot of it, I swear to god, is trying to give people what they want, trying to encourage the fan-base. 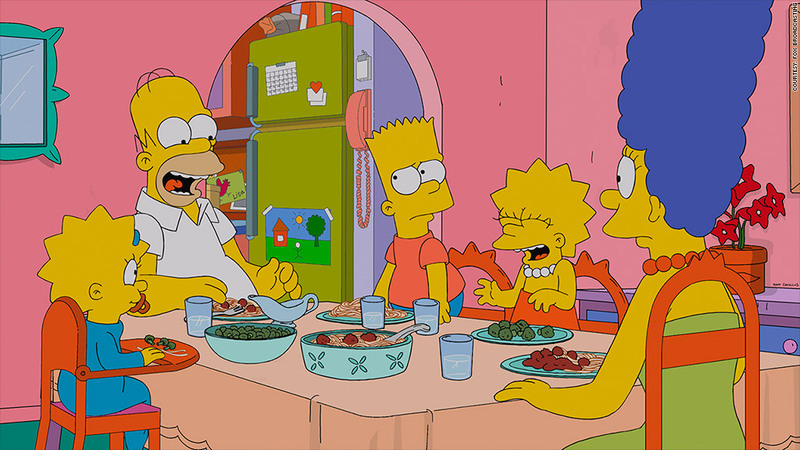 FXX's "Every Simpsons Ever" marathon was very social with #EverySimpsonsEver all over Twitter. Did you feel it was the first social media event for "The Simpsons?" Yeah, it was definitely the first time it really succeeded. If you tweet a scripted show you tend to do it with something like "Mad Men," which has revelations and hidden details which we generally don't. So, in that sense, yeah the marathon was the first thing. I've been here 25 years, so it was literally like seeing my life flash before my eyes. It was amazing that people who hadn't worked here but just watched the show could have a similar feeling. Since we've been looking back, let's instead look forward. Have you ever imagined an ending to the show? However, there is an ending I've always had in mind, which was, I thought it would be cool if in the last episode they're getting ready to go to a Christmas pageant, and they go to the Christmas pageant that opens up the first episode, "Simpsons Roasting on an Open Fire," so the entire series is a loop with no end. That would be my way of concluding the run, but nobody has asked me for it yet.